Highbridge Capital Management, led by Glenn Russell Dubin, has just submitted its 13F report with the SEC for the current reporting period. Highbridge Capital Management is an alternative investment management organization which was set up back in 1992. The fund has developed a diversified investment platform comprising hedge funds, traditional investment management products, as well as credit and equity investments with longer-term holding periods. At the end of 2004, J.P. Morgan Asset Management purchased a majority interest in Highbridge, simultaneously establishing one of the first and most significant strategic alliances in the hedge fund industry. Five years later, J.P. Morgan Asset Management decided to complete the purchase of the remaining shares of the fund. 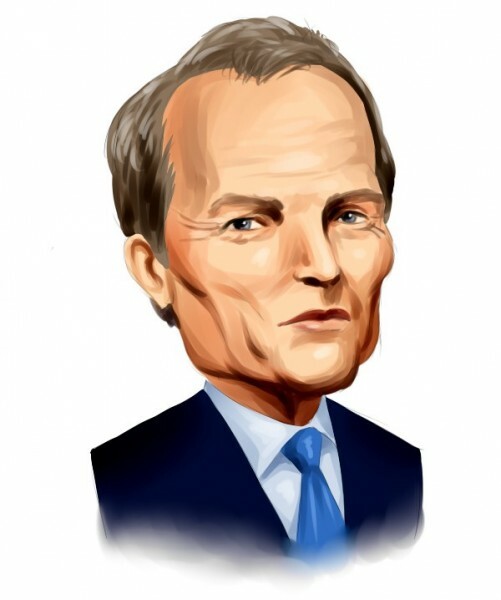 These days Highbridge Capital Management oversees around $31 billion in assets, with its public equity portfolio containing $6.80 billion in holdings as of June 30. In this article we are going to take a closer look at the top picks of the fund, including Johnson & Johnson (NYSE:JNJ), NorthStar Asset Management Group Inc (NYSE:NSAM), and Mosaic Co (NYSE:MOS). At the halfway point of the year, Highbridge Capital Management held 785,569 shares of Johnson & Johnson (NYSE:JNJ) valued at $76.56 million. On a year-to-date basis the stock of this $273.62 billion market cap pharmaceutical giant has depreciated by 5.51%. The good news for its investors and for those who consider it for their portfolios is that the company offers a quite attractive dividend yield of 3.04%. In the middle of July, Johnson & Johnson (NYSE:JNJ) announced its second quarter results, beating EPS expectations by $0.03, posting a $1.71 per share figure, and beating revenue estimates, even if only by a mere $30 million, reporting $17.19 billion in sales. What disappoints the general public here is that both numbers were down compared to the same quarter last year: the former by 3.9% and the latter by 8.8%. Regardless of declining results, the company’s management remains confident in the power of its incredibly diverse product portfolio. Despite strong currency headwinds, the company raised its guidance for full-year adjusted EPS to $6.10-$6.20 from $6.04-$6.19, on the back of its strong pharmaceuticals portfolio. Among the other funds that we track, one can find Ken Fisher’s Fisher Asset Management possessing around 10.64 million shares of Johnson & Johnson (NYSE:JNJ) worth $1.04 billion.